Dive into a rustic ambiance with this solid pine accent table. This table features a drawer on top, perfect for holding knickknacks in the living room or nighttime essentials in the bedroom, and an open cabinet space underneath where you can easily store magazines, books, blankets or bedding. This piece was crafted with a combination of new, kiln-dried ponderosa pine and aged wormwood accent planks aging between 50 and 250 years and was finished with a rich, honey-colored furniture wax to bring the wood grain to life. 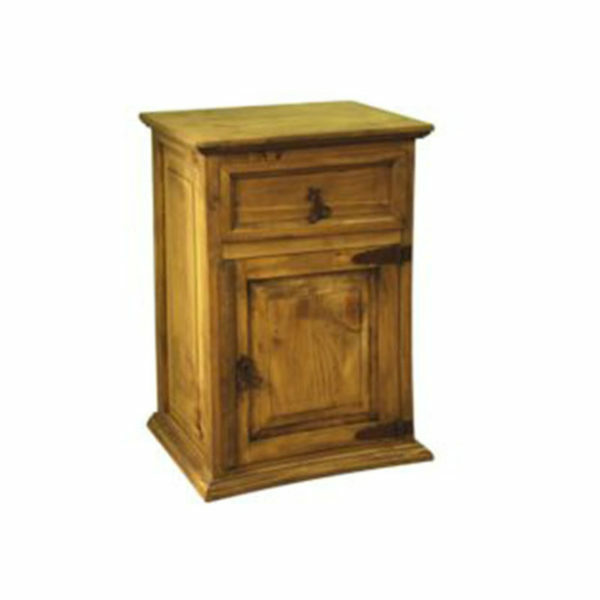 Every piece is 100% solid wood and carries a one-year warranty.